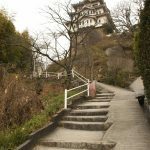 Maruoka Castle is one of Japan’s 100 famous castles and was owned by Munekatsu Aoyama, who was a vassal of Nagahide Niwa. 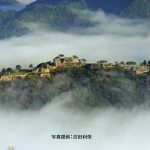 It is registered as a national cultural treasure. 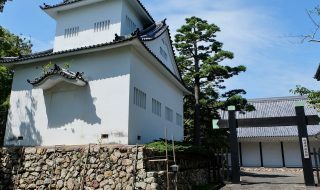 Maruoka castle existed in Maruoka, Sakai-shi in Fukui Prefecture. 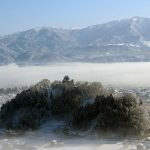 It was a flat mountain castle located on top of the hill that was at the East side of Maruoka city. 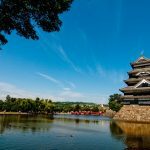 It is also called Kasumiga Castle. 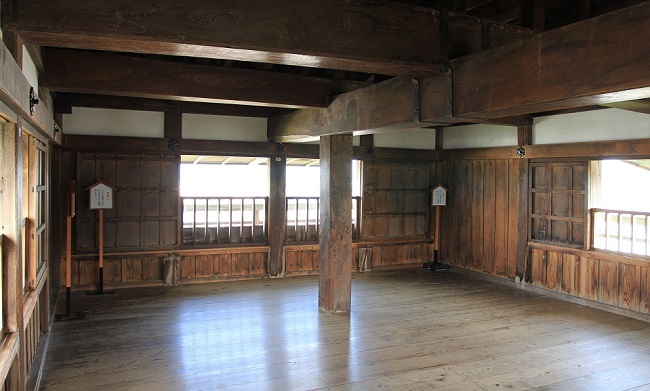 It was built by Katsutoyo Shibata, who was a Nobunaga Oda’s vassal that had moved from Toyoharaji castle. 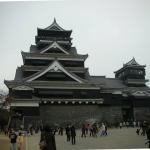 In 1582 after the incident of Honnnoji, Katsutoyo was moved to Nagahama castle in Omi through the Kiyosu conference, and instead Katsuie appointed Iekiyo Yasuie as the new owner of Maruoka castle. 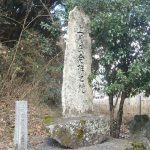 In 1583 when the battle of Shizugatake occurred after the relationship between Katsuie Shibata and Hideyoshi Toyotomi became worse, Katsuie lost at this war and was killed at Kitanosho castle. 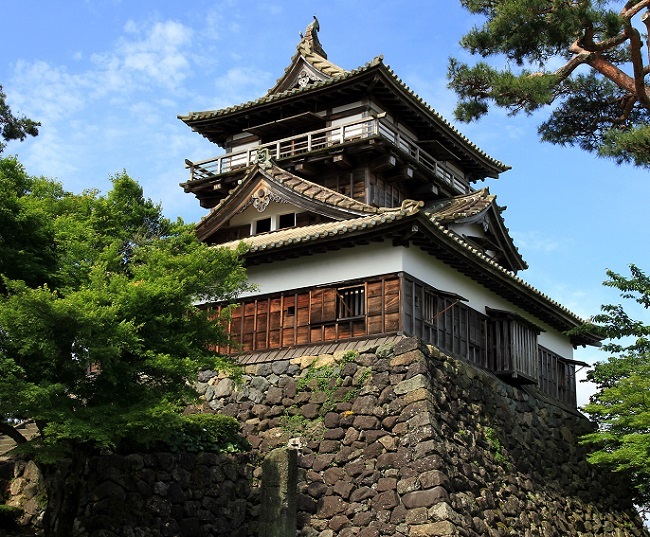 After that Echizen became under control of Nagahide Niwa, and Nagahide appointed Munekatsu Aoyama sa the owner of Maruoka castle. 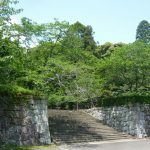 After the death of Nagahide Niwa, Munekatsu Aoyama and his son Tadamoto continued to be vassals of Hideyoshi Toyotomi, keeping the ownership of the territory. 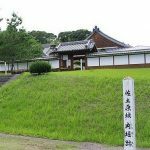 In 1600 at the battle of Sekigahara, they supported the West troops (Mitsunari Ishida), had lost the war and the Aoyama family was subject to Kaieki. 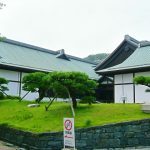 Hideyasu Yuki, Ieyasu Tokugawa’s second son, took over Echizen, and Moritsugu Imamura, Hideyasu’s vassal, was given 26 thousand Koku and owned the castle. 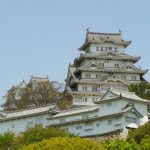 However in 1612, Moritsugu Imamura was overthrown at the incident of Echizen, and Narishige Honda became the new owner of the castle. After that, Tadanao Matsudaira, the 2nd lord of Fukui domain, was sent away to Bungo no Kuni due to his inexcusable actions, and Fukui domain had fallen. 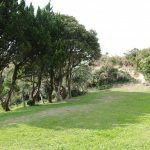 At the same time, Narishige Honda became independent from Fukui domain and he started Maruoka domain. 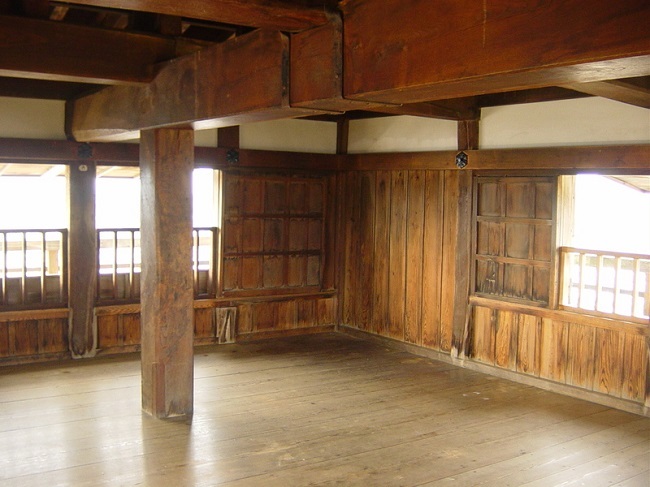 In 1695, during Shigemasu’s period, a family incident occurred among the Honda family and they were subject to Kaieki by Bakufu. 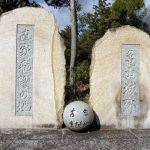 Kiyozumi Arima then became the owner for 50 thousand Koku, and since then Arima-shi have been the owner until the Meiji restoration. 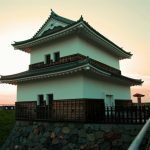 It is estimated that the castle tower was built in Azuchi Momoyama period, and it is registered as national important cultural treasure. 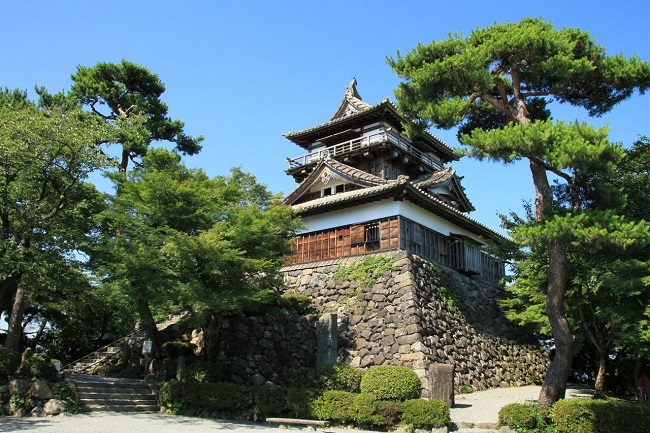 ※Maruoka castle is registered 36th in Japan’s 100 famous castles.